Former FBI Director James Comey used his private email to discuss FBI matters. Comey used his Gmail email account numerous times resulting in more than a thousand pages of messages including some containing information that is inappropriate to release to the public. The revelations about Comey’s emails were a result of a Freedom of Information Act lawsuit from the Cause of Action Institute. Comey’s use of his private email was previously discussed in the Department of Justice inspector general report. The release comes just months after the DOJ’s inspector general said Comey used a personal email to conduct government business. “We identified numerous instances in which Comey used a personal email account to conduct unclassified FBI business,” the report stated. 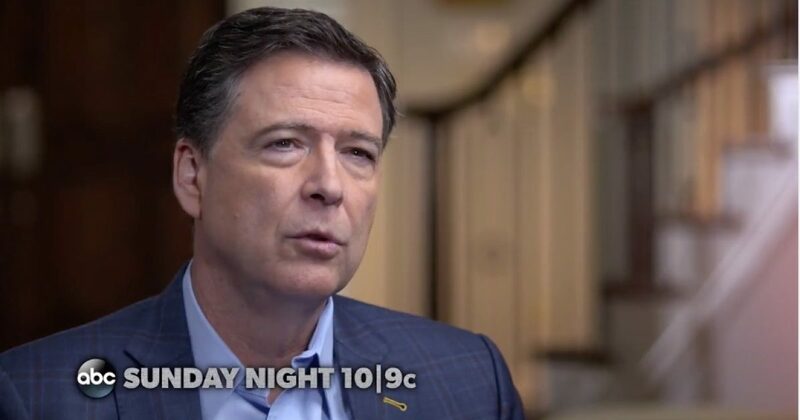 Since being fired by President Trump, Comey frequently comments on political issues including promoting anti-Republican themes. We will now have a balance of power, which is a very good thing for our republic. Signs of an awakening are everywhere tonight. The giant is stirring. Do not stop speaking and living American values. It’s outrageous the former head of the FBI was using his private email for FBI business.